Piping Rock started in 1971, founded by Arthur Rudolph. He got his start by establishing a company to sell vitamins and has since expanded into essential oils, herbs, and various other natural nutritional supplements. They are located in New York and directly manufacture and distribute their line of natural products, which are designed to help you lead a healthier lifestyle. Their goal is to be a one-stop shop, hence the wide range of health products. Because they ship everything directly or sell them in their store, which is right next to their facility, they claim to pass along those savings to the customer. So, is it a great deal, or a buyer beware situation? We researched the piping rock health products and reviews to find out. They claims to have the best, highest quality products at the lowest prices because they manufacture everything in house. The ability to design, formulate, make, test, manage top quality product, and ship directly means they can charge much less than a company that has to operate and outsource the end-to-end operation, from retail and direct sales to distribution, all in separate and various locations. 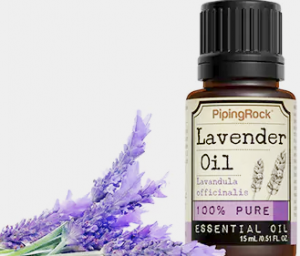 Piping Rock's products are supposedly tested for purity, and if not labeled "blend," purported to be 100% pure essential oils. They also offer a money-back guarantee, which is a good for one year. We ensure each oil contains only the best ingredients by using conventional distillation methods and top-of-the-line testing equipment. If you're not satisfied with your product, you must write a note explaining why, and then return it to them for a full refund. Aside from their regular low prices on their essential oils, they also offer sales and blow-out deals, wherein you won't find lower prices. Some of the products offered in the Deals section seem almost too good to be true which could be a red flag. If your order is under 40 dollars, you have to pay a flat shipping fee of #3.95, but if over 40, shipping cost is free. They guarantee their products are 100% safe, potent, and pure. You can return your product within a year if you're not satisfied, and aside from the deals and sales, you can often find discounts online. They also offer coupons and promotional codes if you sign up for their newsletter. Essential oils are an inherently risky product to buy online or elsewhere, really, because they can be very expensive if truly of the excellent quality. If they're relatively inexpensive, you should be wary. It's important when shopping for them that you're buying from a company you can trust, that has a solid reputation, good rating, and is honest and open in their sourcing and testing. Because they claims to source their oils directly, and then test themselves, it's very difficult to ascertain whether or not to trust them. That's where rating come in. 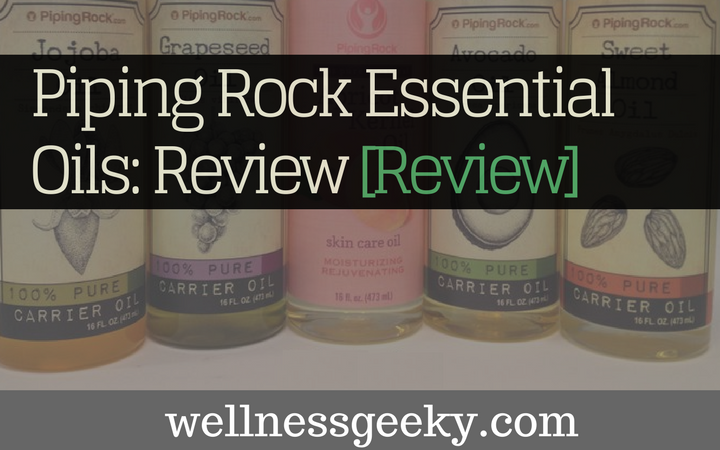 There are scant helpful ratings available on Piping Rock's website, but they do exist on various research sites and testing forums that specialize in confirming the purity of essential oils. Among the reviews and literature that is published, top complaints against Piping Rock Supplements Company consistently state that the oils aren't genuine, sourced as promised, or quality essential oils, even those that that aren't explicitly labeled as a blend. This is hard evidence to dispute on both sides because they claims that their oils are pure grade, so in order to be certain, you'd have to purchase them and then have them tested by a third-party yourself. Some customers have reported doing so and finding the oils to be perfumes and fakes. There is also a lot of negative feedback regarding their customer service. Unfortunately, it isn't uncommon that a company that offers very low prices for a product that is traditional very costly, as well as a money-back guarantee can be hard to get a hold of. This isn't to say there aren't good, honest, reliable companies out there that do it well, it's just a rarity. That seems to be the case with PipingRock, as countless reviews state that if dissatisfied and trying to make a return for a refund, it's very hard to contact someone from their customer service department and thereby attain a refund. While not as many, there are some people that state total satisfaction with the products and the prices. Essential oils are a big multi billion dollar business. It's complicated to source them well and test them effectively. There are a lot of scams and imposter brands, and it's very difficult to know for sure if you're getting the real thing. *Note: Piping Rock has no official certifications for their purity levels. However, while the majority of reviewers are dissatisfied with Piping Rock health products, there are some out there who claim to be satisfied with the products they purchased and very happy with the product and price. So, what to do? As with anything, the best advice is to be cautious, do your research, and if all else fails, try it and see for yourself. Keep your purchase to a minimum, and if you aren't deeply knowledgeable about the oil yourself, take it to someone who is and get their opinion. Then use the oil and see if you like it before making any larger purchases. Click Here to Check The Latest Prices! Please have safe, and healthy 2017 / 2018 years and beyond.